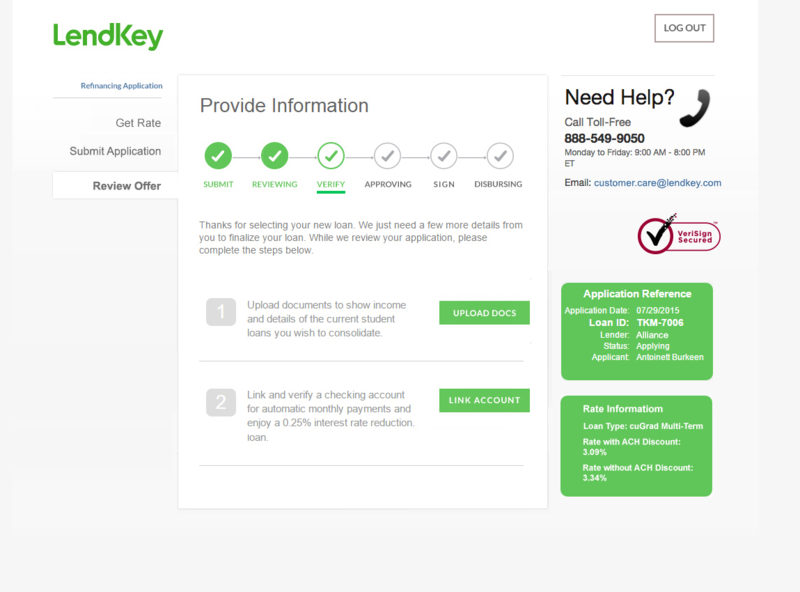 Step 1: Start your student loan refinancing application with LendKey. Step 2: Once you get past the screen shown below and review your offer, you will be eligible to receive your $25 Gift Card. NOTE: You can expect to receive your $25 Amazon Gift Card within 2 weeks of application. We will send it directly to the email you provided. Only one gift card per social security number.